Kobe Bryant recently sent out a welcome tweet to LeBron James after he decided to sign with the Lakers. 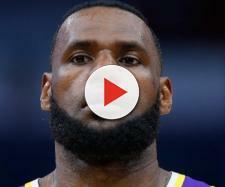 LeBron James once again surprised the basketball world on July 1, when he announced his decision to sign with the Los Angeles Lakers on a four-year contract worth $154 million. After coming off a very up and down season in Cleveland, finishing with the four best records in the Eastern Conference, the Cavaliers still made the NBA Finals with the lead of LeBron James. They pushed past the Indiana Pacers in the first round in seven games, swept the helpless Toronto Raptors in four games in the East Semi’s and finished off the tightly contested Eastern Conference Finals’ series in seven games over Boston. But this season ended a familiar way for the King and his Cavs. They had to face off against the Golden State Warriors and their four all-stars in the NBA Finals, and it ended pretty quickly in four games. So with the 2017-18 season coming to an end, LeBron once again reached a position in his career where he had to make a decision about his free agency. And as LeBron opted out on his contract to become a free agent just a few days ago, the speculation reached it’s highest point. 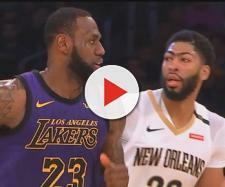 USA Today reported that on July 1, the King made his decision; he will join the Los Angeles Lakers, a place where he considers home, and a place he plans to bring his family up in. Kobe Bryant made sure to congratulate Magic Johnson and his staff for speaking with the King and convincing him to sign a four-year contract with the guarantee that he won’t leave the team in the first few seasons of his contract. What’s next for Los Angeles? With the acquisition of LeBron James, you would think most Laker fans would be pretty happy and satisfied at this point, but that is not the case. When LeBron comes to your team, he brings championship expectations and with that, he is expecting to be surrounded with players that want to win and players that can compete at the highest level. The San Antonio Spurs still have their all-star and arguably the best two-way player in the game, Kawhi Leonard, although he has alerted them and the rest of the world that his desires are in LA to play alongside King James. It is just a matter of time before the Spurs can agree on a trade with the Lakers. But if the Spurs don’t decide to trade their superstar, it may spell problems for them as ‘The Klaw’ may decide to sit out of games once again next season.